Do you know the difference between NEFT, RGTS, ECS and IMPS? Many times we listen to these words but probably we don’t know the exact meaning. The system that enables electronic transfer of funds is NEFT, RTGS, ECS and IMPS. Remember the days when you need to go to the bank to deposit cheque, stand in the long queue waiting for the token number. All these have become history today. Now you can transfer money online with the click of a button using NEFT, RTGS, ECS and IMPS. All these words are used interchangeably by the people however; there is a thin line between all these. Let’s take a look at the difference between NEFT, RTGS, ECS and IMPS. What is the difference between NEFT, RTGS, ECS and IMPS? NEFT is an acronym of National Electronic Fund Transfer. 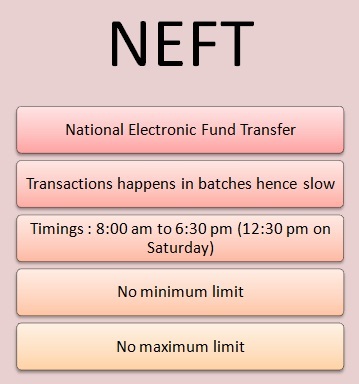 NEFT is like defer payment system. Under NEFT funds are transferred in batches from one bank to other. Whenever individual transfer money from his account to his friends/relative account fund transfer does not take place immediately it will be done in settlement cycle usually 60 minutes. 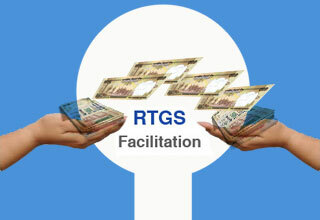 RTGS is an acronym of Real Time Gross settlement. The real-time gross settlement is an instantaneous method of fund transfer. Using this method funds can be transferred on real-time basis between the banks. RTGS is the faster way for fund transfer. RTGS is a preferred method for fund transfer by many corporates. The RTGS system is preliminary used for high-value transactions. The minimum amount remitted using RTGS is 2 lakh. There is no upper ceiling for RTGS transactions. ECS is an acronym of Electronic Clearing Services. 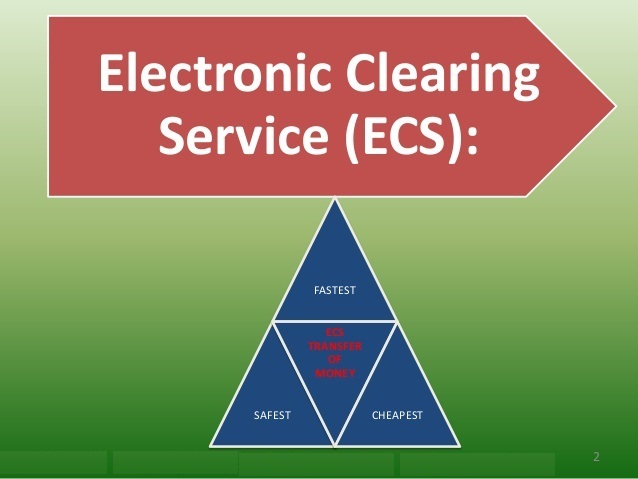 ECS is a mode of electronic fund transfer from one bank account to another bank account using services of a clearinghouse. This service is used for the bulk money transfer from one account to many accounts or vice-versa. This can be used for payment as well as collection purpose. In other words ECS Credit and ECS Debit. Example, where ECS can be used, are dividend distribution, salary, pension, EMI payment or utility bill collection, house tax, water tax etc. IMPS is an acronym of Immediate Payment Services. 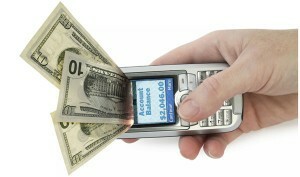 IMPS is the mode of fund transfer by mobile phone services. Under IMPS, customer uses mobile phones as a medium of fund transfer. All applications used for mobile fund transfer use IMPS. This facility is given by NPCI (National Payments Corporation of India). Hope you have now understood the difference of various electronic fund systems available in India.